Anyone reading some of the most disturbing news coming out of State House in Sierra Leone in 2012, could have easily predicted that the country was heading for a major national catastrophe. And indeed, Sierra Leone is now facing an unprecedented threat to its very existence, with the number of Ebola cases topping 10,000 and over 3,000 dead according to the latest figures from WHO. International aid workers in Freetown today reported that, at the Kingtom cemetery alone, over 50 bodies are buried every day, and more than 300 babies also buried at the cemetery every week. As the Ebola burial teams and treatment centres continue to cope with the rising numbers of deaths and new infections, the question that many in Sierra Leone keep asking is: how on earth a country of five million people – with such vast mineral resources, got to this shameful calamity? But the answer is simple. When those elected to manage the affairs of one of the poorest countries in the World – with a potential to earn more than $1 billion in export revenue, are solely preoccupied with lining their pockets with public funds and mismanaging the affairs of state, then it is obvious that when national disaster strikes, many in the country will sadly die. The Koroma government may be proud of its ephemeral record in constructing new roads that are now full of craters and potholes, but it must be held fully responsible for the thousands of lives lost to Ebola, Cholera and other preventable diseases. The dignity of Sierra Leoneans has been unfairly and undeservedly dragged to the mud by corrupt ministers and officials, who have criminally failed to protect the people from harm, failed to invest in good health care, failed to provide good standard of education, failed to provide employment opportunities, failed to provide access to clean water and electricity, and failed woefully to provide a reasonable standard of sanitation. In 2012, whilst president Koroma was busy rewarding his corrupt lackeys with huge salary rises and over- generous perks they do not deserve – nor could the country afford, thousands were dying of malaria, cholera, child birth, early childhood diseases, poverty and malnutrition – all, preventable deaths. It is also evident now, that the Koroma government has been failing to carry out the most simplest of duties – the collection of much needed taxes from companies. Instead, they have been offering hundreds of millions of dollars in tax waivers in return for bribes and contract kickbacks. It is estimated that put together, the entire cabinet ministers in the Koroma government in the last eight years, have misappropriated more than $250 million, with the president himself accused of amassing ill-gotten wealth of more than $200 million – invested overseas. 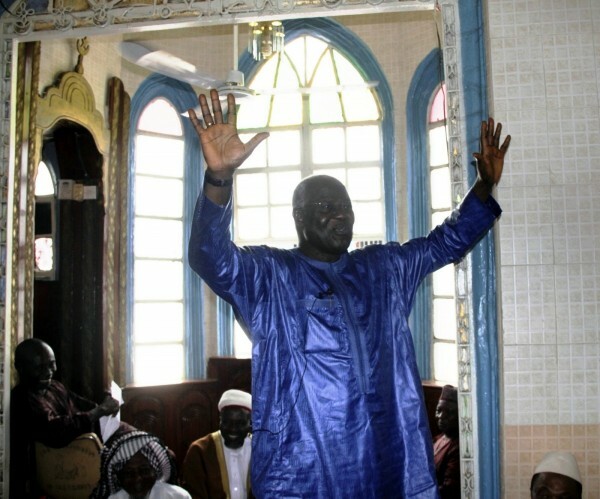 (Photo: President Koroma says his hands are clean, but few believe him). The president’s chief of staff at State House has gone scot-free, after being accused of embezzling almost $50 million and forging the signature of the president in endorsing bogus mining contracts. Less than three years ago, president Koroma announced massive salary rises for senior government officials, which many believe was a slap on the face of millions of poor people in Sierra Leone. Is it any surprise then, that Ebola is today able to snuff out the lives of thousands of Sierra Leoneans? 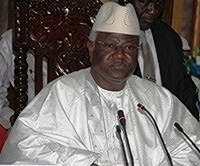 On 26 June, 2012, the Sierra Leone Telegraph published an article: ‘Huge salary rises for President Koroma’s cronies – while the poor are starving’. 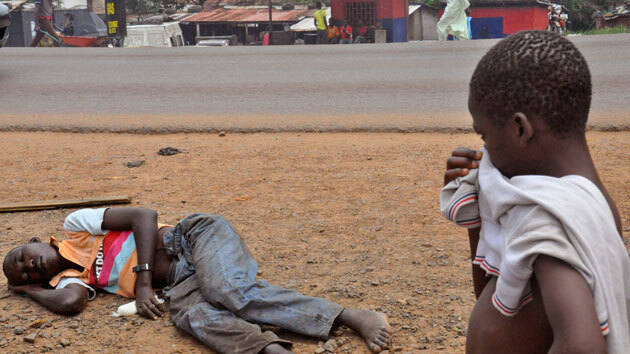 Citizens of financially depressed countries, trying to manage crippling austerity measures would be alarmed to discover that, in Sierra Leone – one of the poorest nations in the world, the president and his cronies continue to siphon state funds. The president has approved massive salary increases for senior officials in his government and those supporting his party – six months before general and presidential elections. This comes despite continuing warning from the IMF about the dire consequences of uncontrolled government spending and profligacy. According to the government’s own gazetted report published a month ago, the speaker of the Houses of Parliament – himself an unelected official of the government, will now be earning a whopping annual salary of one hundred and six thousand dollars – $106,000. This is equivalent to four hundred and fifty-four million Leones. British Prime Minister – David Cameron, the head of one of the most prosperous nations in the world, earns about $222,000 – including his $101,000 salary as an MP. 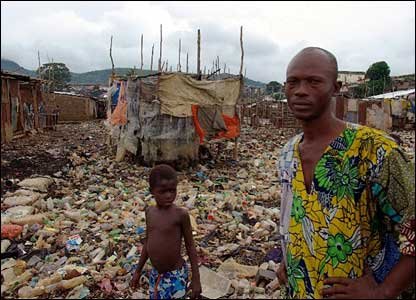 Poverty in Sierra Leone is obscene as families across the country struggle to survive on one square meal a day. Average daily income for a population of just over 5 million people is less than one dollar. Recent reports of international NGOs, say that at least 90 children die every day, due to inadequate health care. International donors’ support for the government’s free health care programme for children under five, lactating mothers and pregnant women, is estimated at $200 million. The country is awash with international aid money, but very little of that gets to the poor. The head of the country’s Anti-Corruption Commission earns over $150,000 a year, excluding allowances, which observers say is far higher than the total amount he recovers annually from the few corruption cases he manages to win in court. The price of rice – the country’s main staple diet has soared in the last five years, from Le60,000 for a bag of rice in June 2007 – equivalent to ten British Pounds, to a high of Le180,000 (thirty Pounds) in June 2012. Most doctors earn less than $200 a month, nurses – $100 and teachers receive a low monthly salary of $30. The government has been accused of playing ‘catching up’ with the salaries of low-paid public sector workers, who usually go unpaid for several months, causing hardship and misery for many. The latest monthly salary increase for the speaker of parliament, approved by president Koroma, is said to be Le25 million, which ironically is also the monthly salary earned by the president. And if you think that the Le454 million a year salary earned by the speaker of parliament is ridiculous, see how much president Koroma pays himself, every month for his own housing allowance. The president owns a large family house in Goderich – valued at over $1 million, but chose to live at the state owned presidential lodge in Hill Station. Yet, he pays himself a whopping monthly housing allowance of $10,000, equivalent to well over Le40 million every month. A new house being constructed by the president, replacing his existing modern family house in Goderich is said to be valued at over $5 million. In the UK, the British government yesterday proposed a pay cut for members of the House of Lords – the second chamber of parliament, and most public sector workers are having to put up with pay freeze. Sierra Leone relies on an annual international donor contribution of over £300 million to pay for the cost of delivering basic social services, including the provision of education, clean safe drinking water, which 60% of the population cannot access. Disturbing levels of crime and lawlessness are the result of very high youth unemployment and joblessness in the country. Under such difficult social and economic conditions and extreme poverty, those in power are expected to act selflessly, patriotically and with some common sense, when they do decide to help themselves with state funds. But citizens of countries struggling to survive, amid painful austerity measures and spending cuts imposed by their governments, will be appalled to see that money ring-fenced to help the poor in Sierra Leone is being ferreted away by greedy and thoughtless politicians. Whilst massive pay rise for a few fat cats, including the president, costing a poor nation like Sierra Leone millions of dollars may be legal, it just does not make it right. 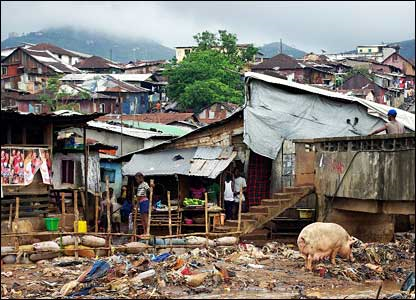 The World Bank and international aid donors do have a duty of care – if not to the people of Sierra Leone, but to the cash strapped tax payers of nations that are contributing so much to the daily survival of the people of Sierra Leone, to stop this madness. (First published by the Sierra Leone Telegraph on 26 June 2012). 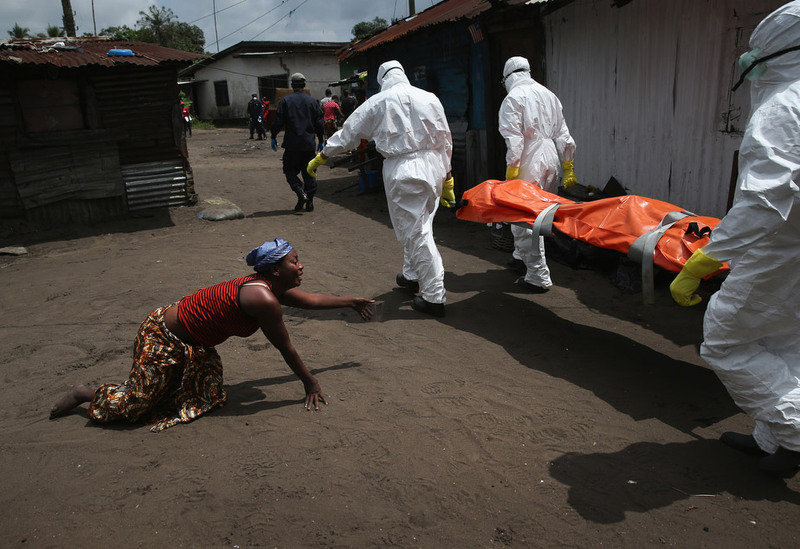 Today, 13th January 2015, three years after publishing that article, the stench of death is all over the country, as burial teams struggle to keep up with the numbers that are dying of Ebola. WHO said today that more than 10,000 people have contracted Ebola in Sierra Leone in just eight months, and over 3,000 dead. International aid workers in Freetown also reported today that, at the Kingtom cemetery alone, over 50 bodies are being buried every day, and more than 300 babies also buried at the same cemetery every week. And as the Ebola burial teams and treatment centres across the country continue to struggle, in coping with the rising numbers of deaths and new infections, the question that many in Sierra Leone keep asking is: how on earth, a country of five million people – with such vast mineral resources, got to this shameful calamity? But the answer is indeed simple. When those elected to manage the affairs of one of the poorest countries in the World – with a potential to earn more than $1 billion in export revenue, are solely preoccupied with lining their pockets with public funds and mismanaging the affairs of state , then it is obvious that when national disaster strikes, many in the country will sadly die, needlessly. It is time for change of government in Sierra Leone. Whoever sent this article over the Internet by email is doing a good job. My prayer is that those embezzling public funds as well as donor funds meant for the Ebola sickness, should read this and see what they are doing to themselves. I say “to themselves” because they are surely going to pay for their acts here on earth before they die, and in HELL after they die. With all our resources and additional donations from all over the world, our people are suffering due to mismanagement and lack of accountability. Our greed for money has caused so many atrocities, that some citizens that are abroad are afraid to go back home. When shall the eyes of the people be opened? I thank the publisher for this article. This president and his ministers were elected by the people, because they hoped they would make a positive difference in their lives. Instead they have acted as mere bystanders watching the people suffer, whilst amassing aid money meant for the masses. I hope they will paid for their evil crimes to humanity. They have been lying to the people and lowering the Ebola figures but the international news videos have exposed them. Ebola has not slowed down and is as virulent as ever.